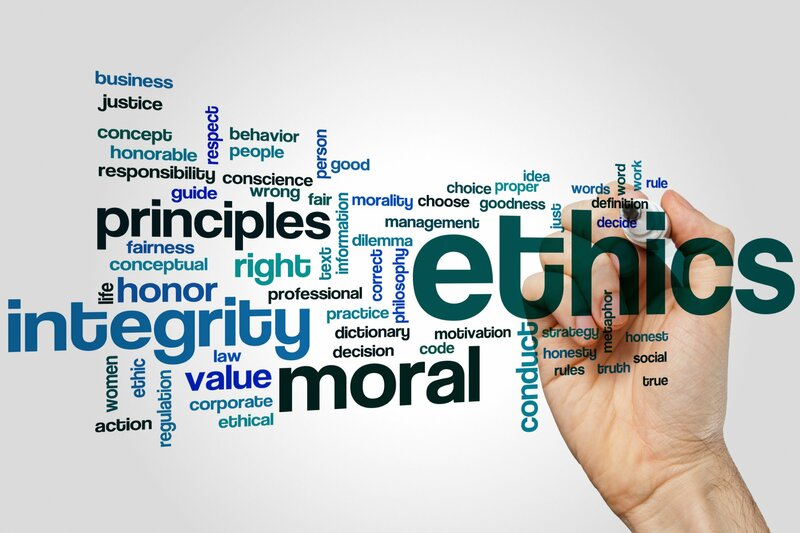 Ethics in Procurement: What are you doing to keep procurement ethical? Ethics play a major role in procurement and are considered more important as technology and consumer behavior change. Being ethical means being in accordance with the rules or standards for right conduct or practice, especially the standards of a profession. For instance: procurement is involved in supplier selection, evaluation, negotiation, contracts sign off and awarding business to suppliers. When interacting with suppliers, procurement should treat them in fair and unbiased manner. Procurement professionals must conduct their business practices in the most ethical manner. Failing to abide to ethical practices can lead to immoral and illegal practices such as bribery, favoritism, illegal sourcing etc. The immediate reaction to the idea of unsatisfactory procurement ethics is that it will be damaging for public relations, if those ethics become public knowledge. Leaders have to make sure that actions are taken to follow proper ethics as this can only contribute to the success of any business. 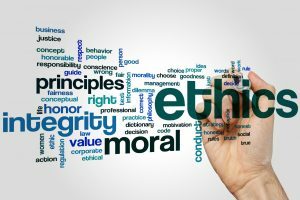 Why ethics are important for procurement professionals? Procurement professionals experience enormous pressure from internal and external forces to act in unethical ways as they usually have control over large sums of money. An ethical person is respected in the business community. Once a buyer earns a reputation within an industry, it is difficult to change it. A professional reputation is something a buyer carries throughout his entire career. Accepting supplier favors & gifts: Accepting gifts, favors and freebies from suppliers is the most common unethical practice. This may affect buyer’s decision to evaluate and select a supplier. Conflict of interest: Conflicts of interest arise when buyers or their close family/friends have direct financial interest in a supplier’s organization. This is a major unethical practice and a serious breach of ethics. Confidentiality of information: Confidential information should be shared only when needed and with the persons who are liable to get the same as part of their profession. Confidential information should be carefully shared with the internal and external world. There are various kinds of information that need to be protected; otherwise it could hamper the business adversely. Some of the examples are pricing, T&Cs, personnel information of customers, commercial information of suppliers in case of an RFx process, cost break up, any business and trade secrets etc. Fair and unbiased treatment: All suppliers should be treated fairly and in an unbiased manner. Any biased treatment to any particular vendor raises unethical behavior. Integrity: Integrity is the quality of being honest and having strong moral principles. Any compromise on the integrity has a negative impact on the overall procurement process. So how do you ensure that your organization’s procurement ethics are upheld? An ethics dispute should never be the result of a difference of opinion between the procurement department and a company employee. Every organization should have a written policy making clear what top management considers ethical and what it considers unethical. Ethics training is one of the most essential components to ensure that employees are aware of the importance of ethical practices. An innovative training will provide employees with all the important information about ethics so that they are able to deal with their day-to-day jobs in an ethical way. The great part about having an ethics policy is that the rules are in a tangible, indisputable form. The unfortunate part is that no one reads ethics policies! Supplement an ethics policy with procurement ethics training for anyone who is involved with the purchase of products or services and/or who meets with suppliers. Every major procurement should require management review to confirm that all guidelines were followed and that no ethical violations have occurred or will occur. Periodically, audits should be performed to verify that all procurement activities were conducted ethically and in accordance with procedures. Audits also serve as a deterrent to future unethical behavior. Organization must have a strong code of ethics for their business processes and procurement process. Employees must be given training regularly on ethical behavior. The advantages will be greater efficiency and value from procurement activities, a better brand image for the organization concerned, and increased loyalty from end-customers and appreciation from the public in general.